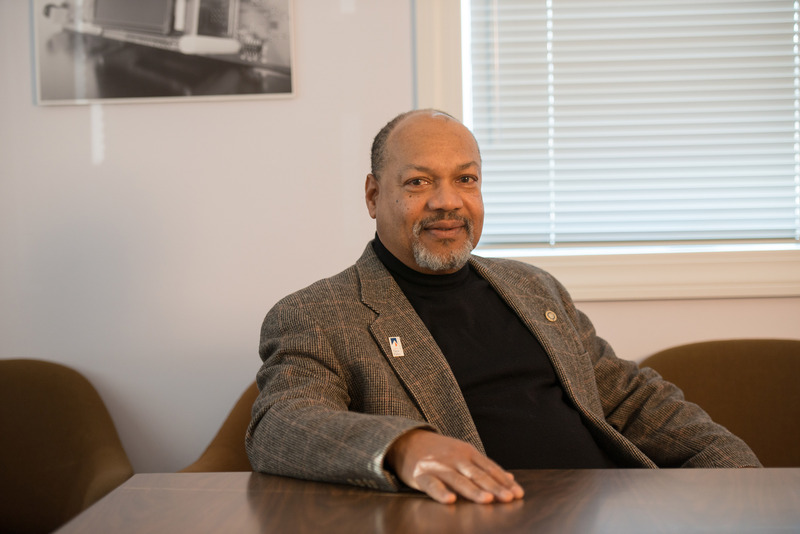 Everton Henriques ’78 ’83g (Chemistry), a former member of the SUNY New Paltz School of Science & Engineering Advisory Board, said it was “pretty obvious” that recruiting talented engineering interns from New Paltz would benefit the Center and its clients, as well as the students. Several SUNY New Paltz engineering students are gaining real-world, hands-on experience in their fields through an internship program with the Hudson Valley Technology Development Center (HVTDC), thanks to alumnus Everton Henriques ’78, ’83g (Chemistry), the Center’s regional innovation specialist. 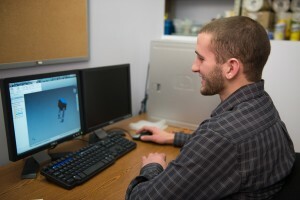 The Center provides consultation services to regional manufacturing and technology companies, with a special focus on engineering and product development. Its headquarters are conveniently located in commuter-friendly Newburgh, N.Y., just a short drive from the New Paltz campus. Henriques said it made perfect sense to recruit talent from the School of Science and Engineering. Hudson Valley Technology Development Center interns Kim Eagleston ’15 and Adam Secovnie ’15 are both electrical engineering majors at SUNY New Paltz. Dylan Atkins ’17, a mechanical engineering major at SUNY New Paltz, is designing a reusable shopping bag dispenser for a local client. Interns Kim Eagleston ’15; Travis Hayden ’15; RJ Pisani ’15; and Adam Secovnie ’15 are senior electrical engineering majors at New Paltz, and Dylan Atkins ’17 is a student in the newly introduced mechanical engineering major. New Paltz alumna Shirley Huang ’13g studied computer science and served as an intern at the Center before accepting a full-time position as a computer engineer. Check out more photos from the Center.